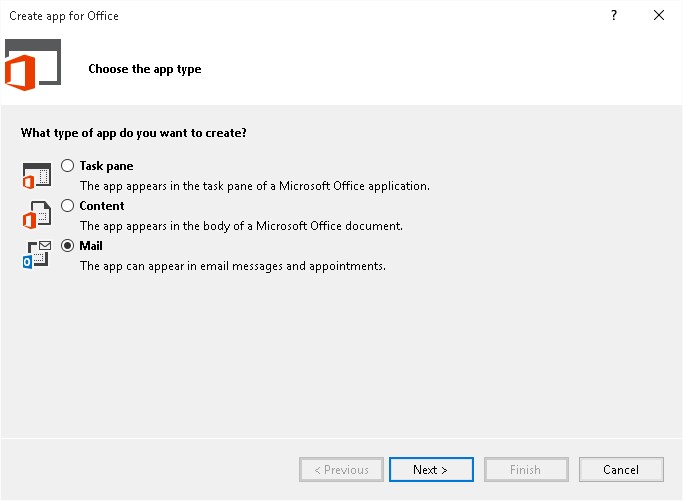 First you need to create a project using Apps for office template. 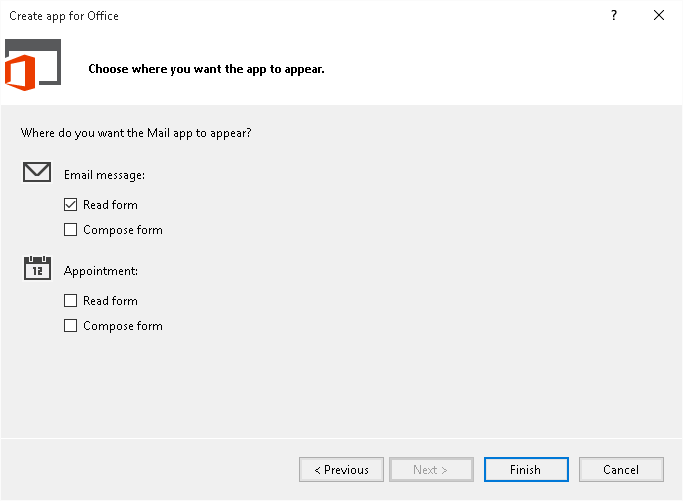 From the next Wizard step, since we are creating an outlook addin from the next step you need to select the mail option. Next you need to select, where the add-in should appear, as this addin is reading the content of mail, you need to select the Read Form option. 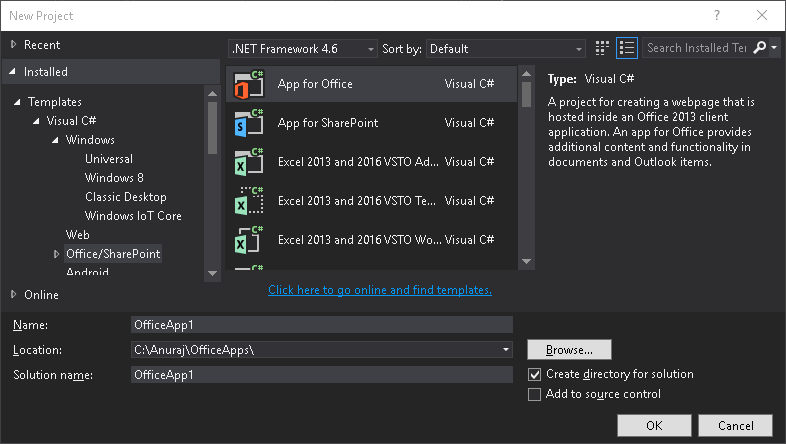 Click on Finish, Visual Studio will create a manifest file and a web application, this manifest file is required to register the addin to the Office 365 application, and the web application is for hosting the application. Once the application is created, you need to modify the manifest file. You can open it from the solution explorer. You can modify the Display name and Description of the addin. Also you need to modify SourceLocation default value attribute, by default the value will be something like this - “~remoteAppUrl/AppRead/Home/Home.html”, you need to modify it with the HTTPS url of the web application. You can get it from the solution properties. You can remove the HTML content from the page. And following markup is added. This addin is powered by <a href="http://responsivevoice.org/api/">responsivevoice</a>. Now you have completed the development, now it is time for deployment. 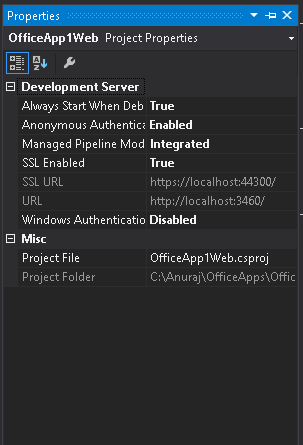 If you’re using Visual Studio, you can start debugging, it will display a Connect dialog like this. 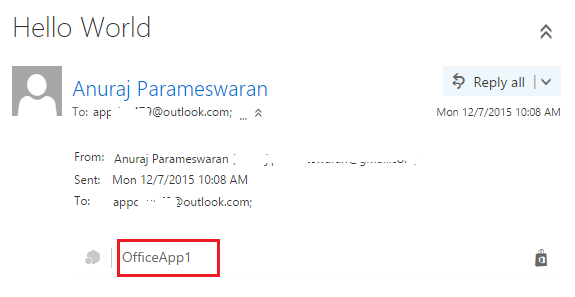 You need to provide your Office 365 account credentials. It will deploy the add in automatically. Otherwise you need to login to the Office 365 account and select manage add-ins options from the settings. In the screen click on the + sign, and select Add from a file option. And browse the manifest xml file and install the addin. Make sure the web application is running. Once installed, you can see the add top of the mail display, like this. Clicking on the Add in name will display the Buttons and clicking the read button will read the mail contents.